The beginning of every new year means setting a budget that will keep cash flow strong throughout the year. Unfortunately, this year-to-year existence means back office projects often get pushed aside. Leaders know those projects could save money and improve overall efficiency, but they simply don’t have the extra money in the current year to pay for it. One of those procrastinated projects is back office automation, which can be especially beneficial in daily operational tasks like accounts payable. Businesses know that automation can help them provide better customer service to their clients and suppliers and over time, it will allow them to reduce expenses. 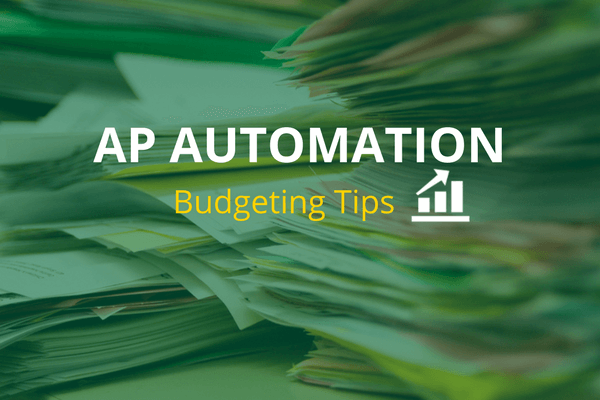 For those businesses, here are a few ways to find the money to pay for AP automation in the coming year. Before you get started, take time look at your current costs to calculate the amount you’ll save by implementing an automated solution. Compare the team member hours required to manage current processes to a similar process handled by software or Robotic Process Automation (RPA). Also, calculate the cost of repairing any errors, postage to circulate invoices for approval, postage for check payments and the personnel hours required to handle manual auditing and reporting. If you have these figures on hand, you’ll be in a much better position to convince leadership to shift priorities. Click here for a copy of an AP Cost Calculator. Many businesses overlook the value that comes from paying vendors via the use of a virtual payment card. Customers find that rebates from virtual payment cards help significantly reduce or offset the costs to set up automation, while also enjoying better relationships with vendors who eased to see were satisfied with speedier payments. The more payments your business makes, the more money that comes back to your company, so estimate this amount while making a decision. As you review your budget, look for small ways to cut costs that can add up. You may be able to negotiate a better deal on your office space rental or eliminate off-premise storage for archives, for instance, or put off replacing laptops and mobile devices until next year. If you have empty positions, consider using RPA (Robotic Processing Automation) or outsourcing instead of committing to a full salary and benefits. This enables converting fixed costs into variable costs that can fluctuate with processing volumes. If those positions are related to accounting or administration, you may be able to shift some duties to the AP professional whose workload is reduced thanks to automation. If you still don’t have enough to pay for the entire implementation cost, consider shifting to an automated solution in stages. Your accounts payable solutions provider can work with you to add products within its suite gradually, as your budget allows. You may find you automate accounts payable and receivable this year, then add payroll automation and document management later. This will also give your team the opportunity to gradually adjust to automation as the new way of doing things. You may also be able to negotiate spreading the implementation fees into a more manageable monthly fee. It may not be easy to find extra money for software solutions, but it is well worth the expense. If you aren’t already, familiarize yourself with your budget constraints and make sure you know exactly how much you’ll save by automating your accounting processes. This can help you make a fully-informed decision about whether or not a few sacrifices are worth the long-term benefits. Ready to see if Centreviews is a good fit for your organization? Centreviews bots are products of API, a technology company dedicated to creating simple, scalable, and secure solutions for back office departments and professionals. RPA Definition What is Robotics Process Automation?